It’s easy to forget that our body also has different needs. Using an ordinary soap is something not recommended, but how do you know which shower gel is most suitable for your needs? Read on and find out! No one wants to have a rough, dry skin. When it comes to choosing the ideal shower gel for dry skin, it is always a good idea to opt for creamier textures instead of gel textures. A shower cream is generally milder for dry skin and does not contain soap, which means it easily dries. Look for products with ingredients that soften and moisturize your skin, such as olive oil, aloe vera or honey and make sure the product contains some kind of soothing vitamins, such as Vitamin A, B1 or E.
A moisturizing body lotion is also essential when it comes to dry skin, but for complete hydration, it is important to start thinking about hydration even before the shower. It may seem tempting to exfoliate the skin often to remove dead skin cells, however excessive exfoliation will dry the skin even more. Choose instead to “brush” gently with a glove, sponge or brush exfoliating every three days to stimulate blood circulation and promote a more radiant skin. Regardless of the cause being the cold, poor eating habits or lack of vitamins, we all experience a damp skin every now and then. There are three essential things you should do whenever you feel that your skin needs intense hydration. First make sure you drink enough water . Secondly, exfoliate the skin . Third, hydrate the skin . A regular exfoliation will promote cell renewal and promote a brighter skin. Start each day by passing an exfoliating brush / glove / sponge on the body to stimulate blood circulation. Then use an exfoliating shower gel with invigorating ingredients such as strawberry and lime for a refreshing sensation. Then apply a moisturizing body lotion, and for extra hydration, add a few drops of body oil. Overly dry skin, allergies or eczema are common traits in people with sensitive skin. Do not panic! There are ways to keep your skin appeased. First, stay away from lotions and shower gels with intense fragrances. Always look for keywords, such as creamy, gentle and softening, when choosing your products. Exfoliate the skin gently and opt for natural ingredients and that pH balanced. A shower cream with avocado is an excellent choice as it contains healthy fatty acids, antioxidants and vitamins. 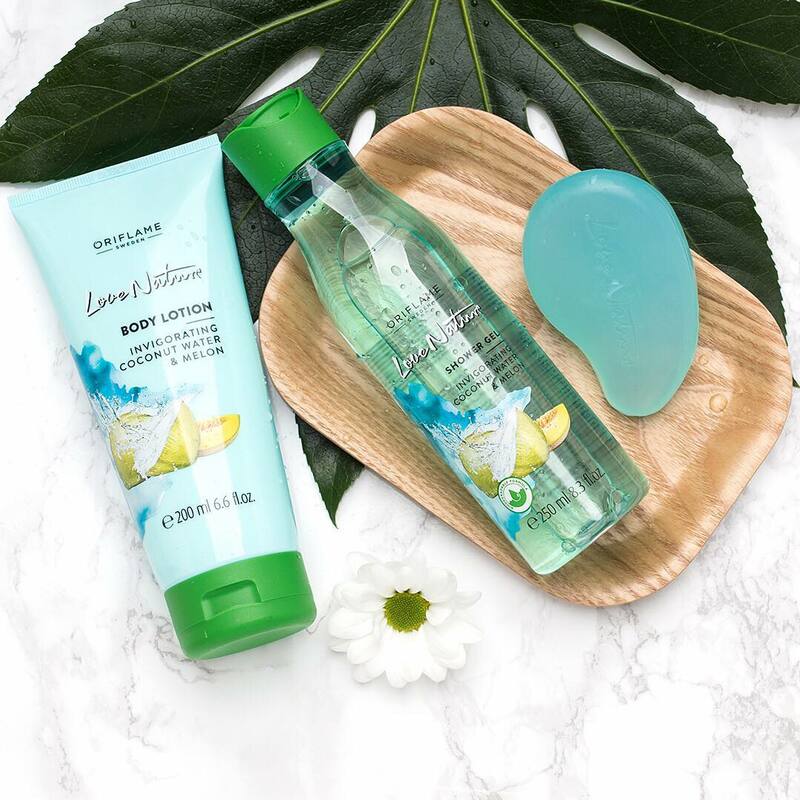 Or opt for shower gels with moisturizing oils, such as almond oil – gentle on the skin and super-nourishing at the same time. Always apply moisturizing and soothing body lotion to maintain skin balance. With so much fuss about the oils, it is normal to think that the excess oiliness of the body would be beneficial. Unfortunately, this can result in unwanted pimples if you do not have proper care. Fortunately, there are excellent shower gels for all skin types . Many people with oily skin tend to overdo cleaning and use products with lots of alcohol. In fact, this only stimulates the production of sebum. The production of sebum is largely due to genetics and hormones, so your skin is not greasy because it is dirty. All the cleansing of the world will not make the excess of sebum disappear. So focus on finding products that properly moisturize the skin but have oils. Opt for lighter shower gels, with exfoliating particles, to reduce pimples and keep pores free of dead cells and sebum. An excellent ingredient is mint, which leaves the skin invigorated. Extracts of natural ingredients, such as raspberries, contain many antioxidants and vitamin C. Plants such as lavender can even balance hormone levels. Lavender also provides a relaxing aroma and gives a magnificent soothing sensation. Voilà, soft, refreshed and happy skin!